We know that sometimes you can't count on your internet connection, and the worst thing to happen mid-lesson is wanting to use a video and not being able to access it. So we're now offering the option of downloading our videos. 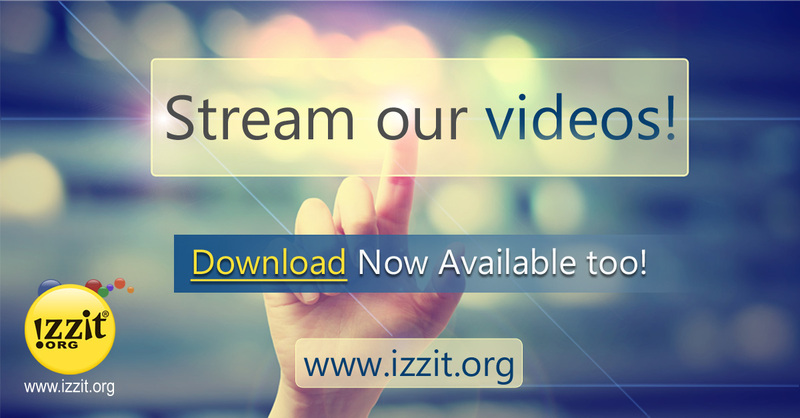 Active izzit.org members can download our full programs directly to their device for instant, ad-free viewing!! Video download button on the streaming page. or go to our Educational Videos page, select a title, and you'll see a new download button under the video player. Video download button as found on each video's product page. Remember, you can also stream from izzit.org, our YouTube channel, our Vimeo channel, and you can even watch most of our full programs on Roku!